Mark Osborne, director of Kung Fu Panda and The Little Prince, is adapting Jeff Smith’s beloved fantasy comic book Bone as an animated movie at Warner Bros. The Bone movie will be co-scripted by Osborne and Adam Kline (Artemis Fowl). Warner Bros. obtained the rights to Bone in 2008. Dan Lin’s Lin Pictures is producing the Bone movie with Zareh Nalbandian of Animal Logic. Warner Bros. plans to turn Bone into an animated film trilogy. 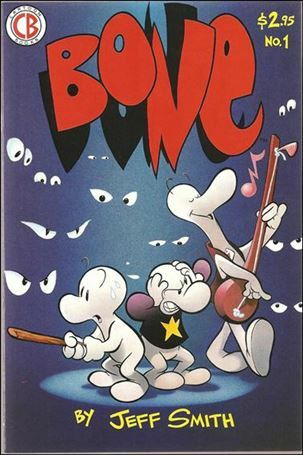 Bone is one of the great self-publishing success stories of the comic book industry. The story follows the three Bone cousins – Fone Bone, Phoney Bone, and Smiley Bone – after they are run out of their hometown of Boneville. They end up crossing ad dessert and finding their way to a forest, where they encounter a young girl named Thorn. This encounter ends up dragging the Bones into epic fantasy adventure that involves everything from a cow race to a royal love triangle. “As source material goes, Jeffs epic is something of a unicorn; mythic, whimsical, and pure in equal measure,” said Kline.